AAA Travel & Tours is managed by John Teng, from the Siem Reap Town, Cambodia and Mr. Jon Allen supports AAA Travel & Tours as our Global Sales Manager from our office in the United States located in Seattle, Washington.Mr. Allen is a prime investor in our company and his experience brings a western perspective to the products and services we offer to our guests. Our team of experienced and professional staff ,guides and drivers are passionate about showing you the most beautiful sites and giving you true insights into our culture – providing you with unforgettable memories. Our mission is to create trips of a life-time for each of our clients using our experience as well as the knowledge and enthusiasm of the team. For the duration of your tour you will have your own professional tour guide, who is experienced and qualified. Our guides and drivers not only know the official routes, they will also take you to special spots most people never see when they visit Angkor and show you the best locations to take the most beautiful photos and create the best holiday memories. The Angkor Archaeological Park is an amazing place to visit, and each year more and more people come to experience the temples. For you to be able to really feel the mysterious and tranquil atmosphere of the vast temple ruins we seek out the special places away from the crowds so you can discover the true beauty of the temples. We know the best times to see the popular sights. 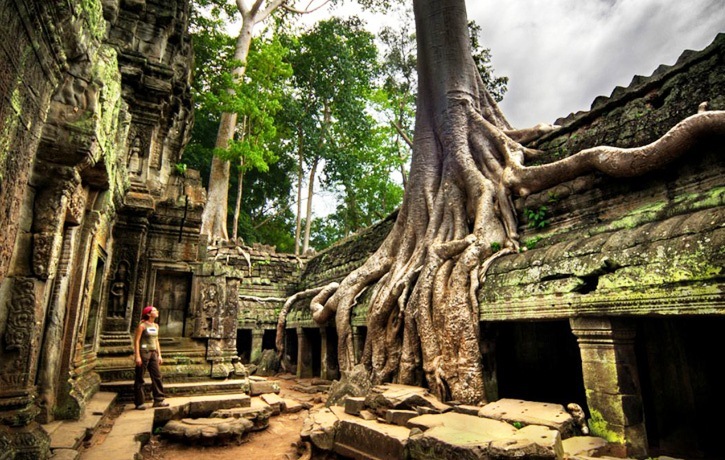 Angkor Wat will always be popular and attracts a lot of visitors; we take you to the top level of centre towers and walk around the main temple when the fewest people are there. We also start our tours earlier than most other tour companies, ensuring you have more time to enjoy your temple experience undisturbed. Your itinerary will be tailored to your needs and interests and created so you can visit each temple at the best time. 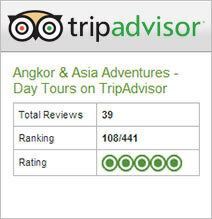 A lot of tourists want to see the sunrise at Angkor Wat and the sunset at Phnom Bakheng. Whilst there is no doubt these locations are beautiful, the crowds can take something away from the experience. We can take you to a number of spectacular sunrise locations including Sra Srong and Phnom Bakheng as well as quiet and beautiful sunset spots at Pre Rup or Phnom Krom at the Tonle Sap Lake.